I have always had long hair. I’ve had my hair right at my shoulders a couple of times when I was younger, but my whole life my hair has been long. I’ve entertained the idea of cutting it many times, but always chicken out. 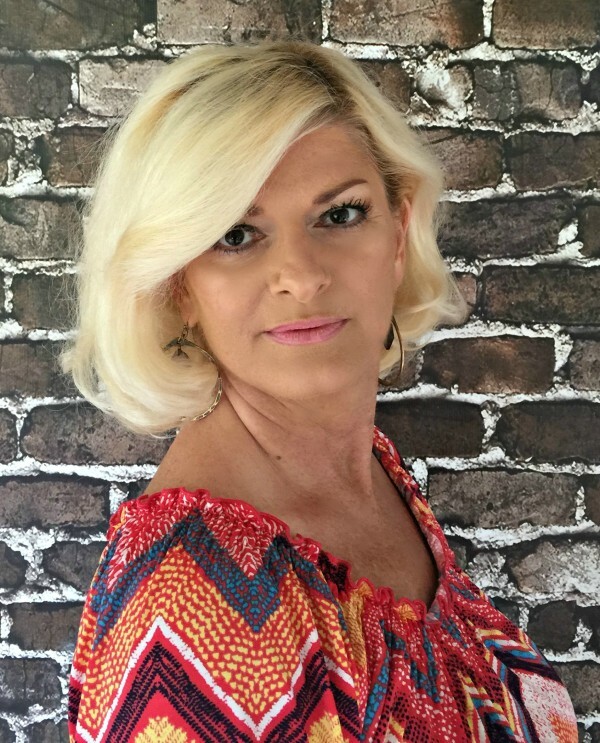 Besides, my husband loves my hair… he’s told me that he didn’t care if it was straight or curly, or black, red, or purple, but he would prefer I kept it long. He really doesn’t ask for much, so he loves my long hair, I won’t cut it. However, this doesn’t keep me from wondering what it would be like to have short hair. 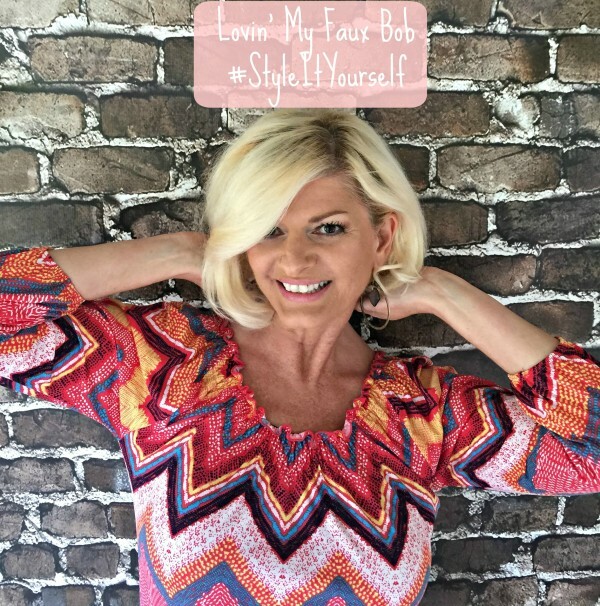 Then I got an idea… why not try a faux bob? I could have the best of both worlds! 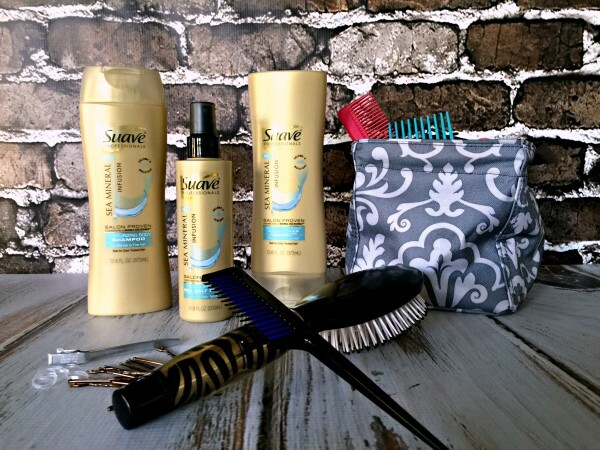 I find that any kind of updo, braid, faux looks, etc., does better with next day hair (dirty hair) or you can use products like Suave Professionals® Sea Mineral Infusion Texturizing Sea Salt Spray to give your hair the texture it needs to hold a “style it yourself” look. 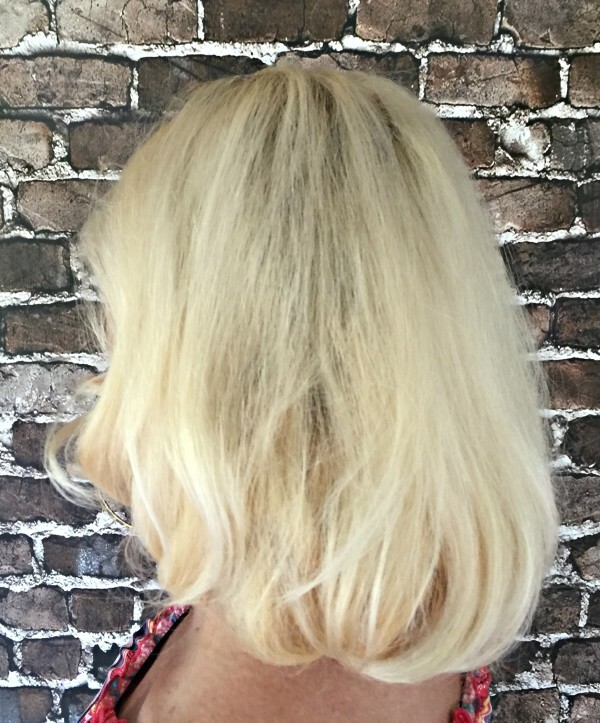 Tip: It is important to have texture in your hair to achieve a faux bob. 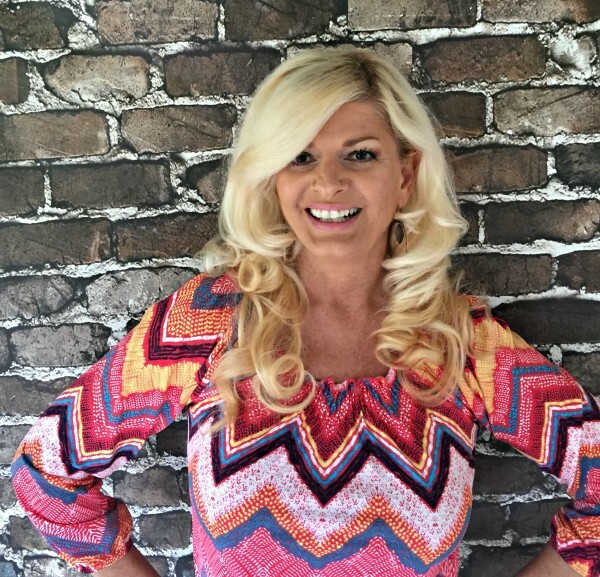 Once I washed, conditioned, and used the Suave Professionals® Sea Mineral Infusion Texturizing Sea Salt Spray, I dried and curled my hair. I have ever so slightly wavy hair, so I either have to curl it with a curling iron/wand or with hot rollers or straighten my hair with a straight iron. I usually curl my hair more often than not, though. It was easy for me to achieve the faux bob look and didn’t take but a few minutes. Pull about half of your hair up and pin it to the top of your head, out of the way and put the rest of your hair into a low ponytail. 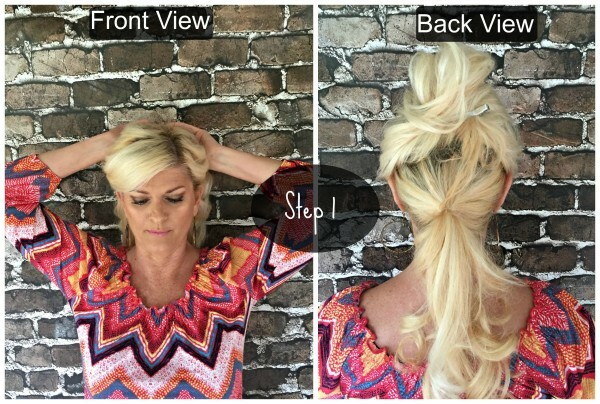 Twist the ponytail into a bun and pin to your scalp. 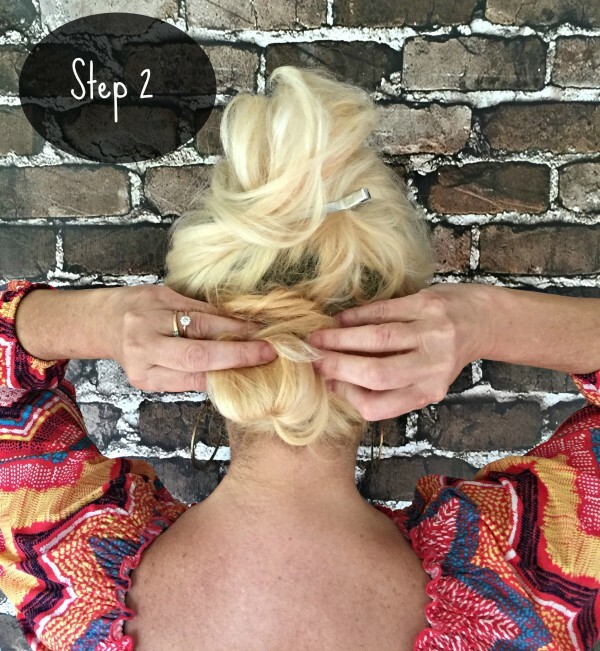 Take about 2-inch strands of hair and wrap them under towards the bun and you bobby pins to pin the strands to the bun, working around your hair. 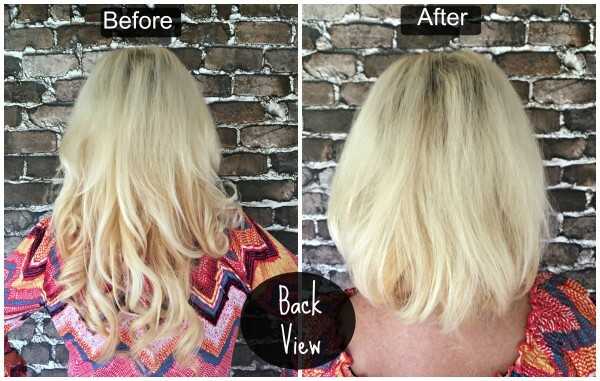 This is where you need layers… you’ll leave shorter layers towards the front to give the illusion of shorter hair. 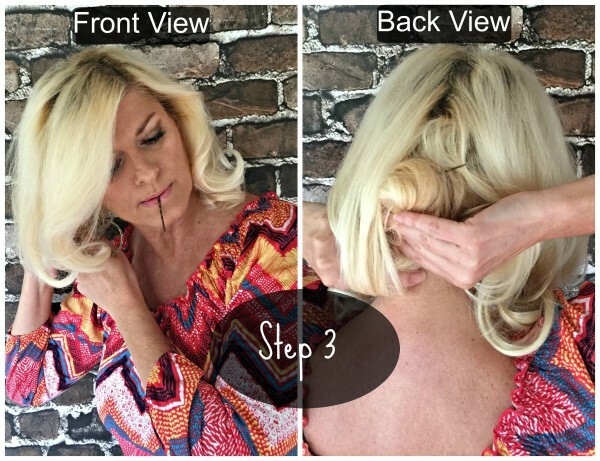 You can make your faux bob as short as you would like here, too, by wrapping the strands shorter/tighter before pinning them. Just play around with it. You don’t have to be neat or perfect either, just try to keep it even in the back, so it looks like you have a short haircut. Every time I do the faux bob I bet it will look a little different each time. My husband actually loved it! He still loves my long hair a little more, though. I love that I can do a faux bob and have the look of shorter hair without cutting my long hair. I could actually make the faux bob even shorter… maybe next time I’ll do just that. 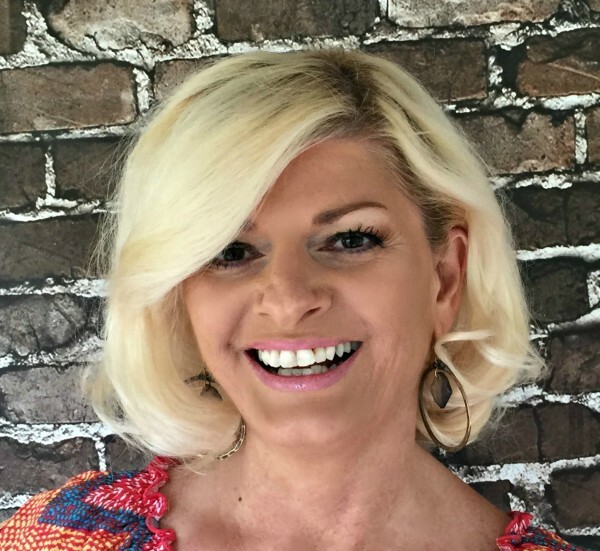 A faux bob is an excellent way to see how you would look and like short(er) hair before you make the big decision to cut your hair or just a fun way to get a new look from time to time. People who don’t know you will never know the difference, and those that do… will think you cut your hair. I guarantee you will get attention. They feature a luxurious, sea-inspired fragrance. NEW Sea Mineral Infusion Moisturizing Buoyant Body Shampoo & Conditioner system provides hair with 24-hour body and moisture that is easy to style. NEW Sea Mineral Infusion Moisturizing Buoyant Body Shampoo contains no heavy silicones and helps remove build up from hair for natural looking body and bounce. NEW Sea Mineral Infusion Moisturizing Buoyant Body Conditioner offers just the right amount of conditioning for natural, healthy looking body and bounce. 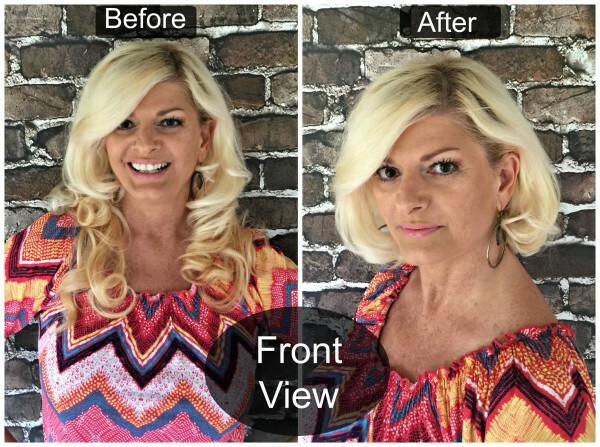 Salon proven to volumize as well as Bumble and bumble. 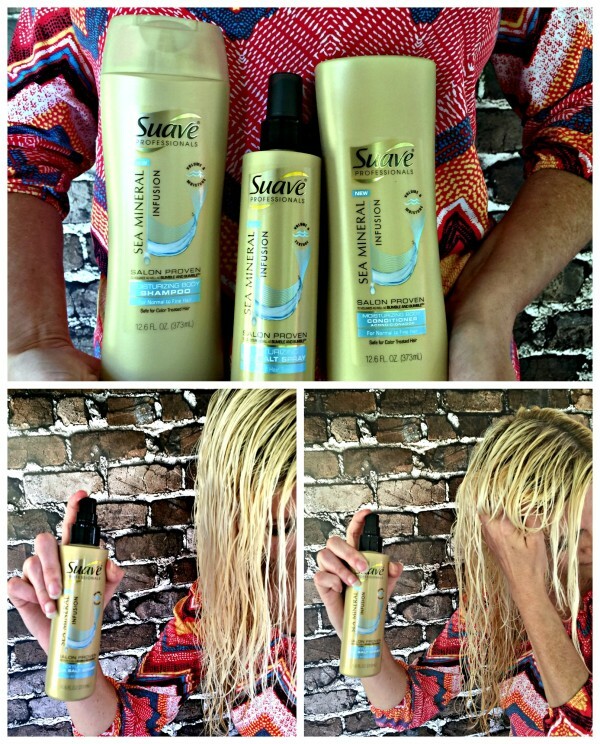 Surf® Foam Wash Shampoo and Crème Rinse Conditioner. NEW Sea Mineral Infusion Texturizing Sea Salt Spray helps create a loose, textured look with full-bodied waves that last up to 24 hours. 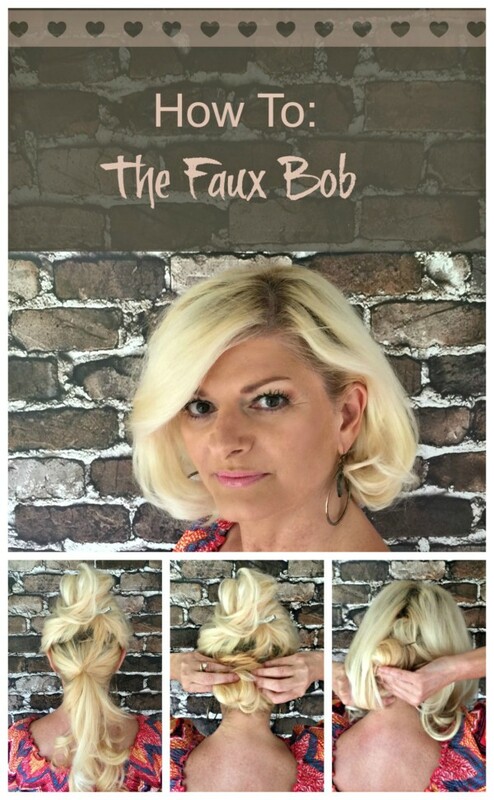 I can’t wait until our next date night to sport my new faux bob look! And check out these other ideas for long hair.